Acoustic underlay can be placed beneath the top floor and the subfloor. It confers several benefits. As the name implies the acoustic underlay will reduce the noise that carries outside the room, so neighbours (especially those in the rooms below) will not be disturbed by the sound of anybody walking on the floor. Acoustic underlay will also help deaden the sound inside the room, reducing echo and keeping things quiet. A hard floor can be hard on the bare foot. But floating floors with underlay will have a certain amount of springiness than makes them easier to walk on. Acoustic insulation will provide some thermal insulation for a room, heling to keep the temperatures stable. This means retaining the heat in the winter and staying a little bit cooler in the summer. Thermal insulation means that heaters and air conditioners can achieve the same or better results with less effort and energy. 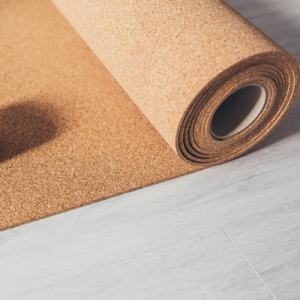 Underlay prevents dust, allergens, and moisture from getting tapped under the floor. As long as the floor surface is kept clean there are no hidden spaces for dust and moisture to accumulate. Acoustic underlay goes beneath a floating floor. 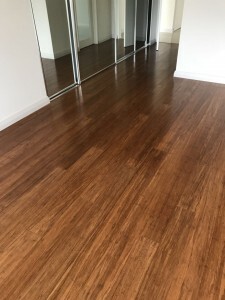 Floating Timber floors with underlay are solid and durable, and ideal for dance floors or any area that has heavy traffic and a need to keep the noise to a minimum. Laminate can also be used as a floating floor over acoustic underlay. This is quite fine for most domestic situations, the type of thing used in apartment or upper floors housing to prevent noise form disturbing people downstairs. You can completely transform the look of a room by adding a floating floor. 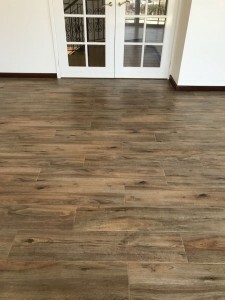 Vinyl planks and laminate are ideal for floating floors. Both are durable, affordable and come in many different colours and patterns. Vinyl planks are usually designed to look like wood. This includes fancy and exotic styles of timber, reclaimed wood, and neat, austere types of timber. 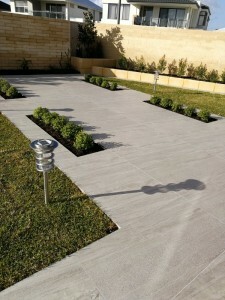 But they can also have a stone or marble look. Vinyl is less than half the price of the cheapest timbers. Vinyl is easy to clean with just vacuuming, sweeping or mopping. Vinyl will accept more liquid spills than timber or carpet, and is nor prone to damage like hard tiles. Vinyl stays at the same temperature as the rest of the room. It is not hard and cold like tiles. After installing vinyl the room must be aired for a few days so that VOC (Volatile Chemicals) can clear up. This same rules applies to carpets and varnished floors. Wheelchairs may have trouble on vinyl floors, but this also applies to most internal flooring. Many rooms in the house may have timber floors. 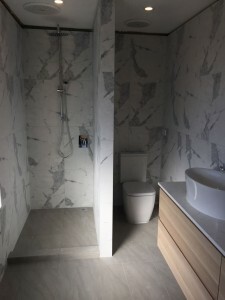 But bathrooms and kitchens will have tiles or some other form of waterproof flooring. At some point there will be a transition between these tiles and the flooring used in the next room. This transition will need a cover edge, and perhaps some other treatment. The space where the tile floor meets the next floor may need waterproofing. This requires sealing with silicone. If the space is not sealed there is a risk of water leaking under the floor and causing long term damage. There is usually a metal strip over the transition space between different floors. This will either need to be glued into place, or attached with nails or screws. Attaching this transition strip will be difficult if there is a gap between the two floors, or if there is only silicone in the space. The transition strip will need to be attached to something solid in order to stay in place. The gap can be filled with wood putty or builders bog. This will hold nails or screws quite well. Tiles are often slightly higher than the floor in the nest room. 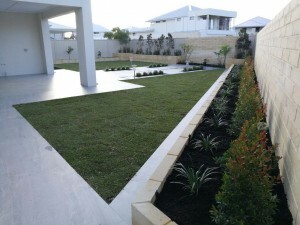 Metal edges can be purchased that accommodate this level transition. Many edge strips are plain metal. A few are timber. These can be nailed or screwed into place. Occasionally an edge strip will have a rubber strip down the centre that covers up the screws. Laminate combines the best properties of several materials to produce attractive and durable flooring. Laminate has a great advantage in imitating the appearance of wood, stone or almost any other material. The appearance of laminate comes from the photorealistic layer beneath the top surface. It is this layer that imitates the appearance of wooden timber flooring, but it can imitate tiles, stone, or other material if required. The only disadvantage to the photorealistic appearance is that it cannot be changed – you cannot stain or colour the laminate. The top surface of laminate is a hard protective coating. This is fairly durable, protecting the appearance of the floor. But it is not indestructible, so furniture needs to be separated from the floor with coasters of felt pads. This precaution should also be taken on timber and other floors. The main structure of laminate is either fibreboard or melamine resin. These are fairly ridged and stable materials. They are unlikely to warp or bend unless that are on an unstable surface. Laminate is a type of flooring that can be put over a subfloor like cement. If the cement subfloor is stable and flat the laminate can be installed with minimal trouble. Laminate has tongue and groove edges that neatly lock together. This makes installation quite simple, ideal for DIY projects. Because laminate is quite stable there is no need to provide gaps between the planks. Gaps are needed in some other flooring materials to accommodate expansion and contraction. But laminates is almost completely free from this. Laminate often has antimicrobial additives to prevent microbe infections. Laminate is great for a DIY subfloor project. Wood can be cut from a tree in many different way. Different means of cutting the tree will alter the strength of the timber planks produced and give different grain patterns. The different cutting methods will produce different amounts of wasted wood. Timber can be cut from a log in parallel planks. The quality of the timber varies. A plank cut through the centre of the tree will have good quality grain and near optimal strength. Planks from the top and bottom of the log will tend to have poor grain, minimal strength and be a less width. Timber is cut from the outside of the tree (the bark) towards the centre. 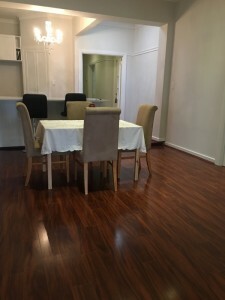 Timber floors use good quality hardwood. This has attractive grain patterns, and can last for decades under reasonable conditions. Polyurethane is a clear protective coating applied to many products, including wooden floors. It can also be used as a substance in its own right for manufacturing other items. The polyurethane coating for timber floors comes in two general types. There are water based coatings and solvent based coatings. Water based polyurethane is highly transparent. Timber floors will need several layers of water based polyurethane (usually 4 or more) but the results are almost invisible and the protective properties of the coating are very dependable. The fact that this water based coating dries in about 2 hours means that the floor can be given several coatings in one day, and be ready for use the day after. This solvent based coating is not as transparent as the water based variety, and it will age with a pleasant amber brown hue. But many home owners quite like this look on wood. Solvent based polyurethane is quite thick, so a floor will only need two coats. But the coats take 24 hours to dry so the process is slow, and the rooms cannot be occupied because of the fumes. Yet the finish is quite pleasing and offers solid protection against floor damage. Many installers like to re-sand the floor between coats of polyurethane to obtain the smoothest finish possible. Even if the name is unfamiliar most of us have seen parquet flooring. Parquet consists of wooden floor tiles arranged in geometric patterns. This is an elegant style of flooring seen in classic churches, hotel lobbies, fine reception halls and ballrooms. The patterns in parquet flooring range from simple rectangles tiles to complex geometric patterns. 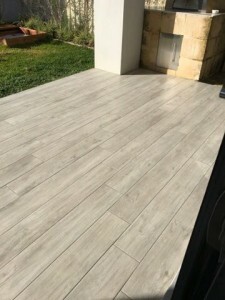 The simple floor tiles can easily be ordered and installed, though they require more skill than timber planks. Complex patterns are usually custom made for a particular floor. These complex patterns may even be a mosaic picture with a theme appropriate to the specific church or building. Simple parquet patterns include checker board, herringbone, and basket weave. These are usually one type of wood, with maple, walnut, wenge, cherry, teak, and beech being popular. A few high end Basketball courts use hard maple parquet. Complex parquet floor use a variety of a variety of different woods to form their pattern. Parquet floors are as robust as most quality timber floors. But even the best woods are not immune to all damage. Parquet floors that are heavily worn can be re-sanded to restore their original timber appearance. An advantage of parquet floors, as with any tiled surface, is that an individual tile can be replaced if damaged. This prevents the need of renovating the entire floor. Engineered, laminated floors are different to more traditional hardwood floors. The individual floorboards are made of several layers of wood. 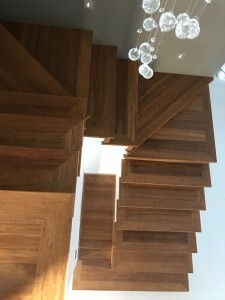 This multilayer design produces floorboards that are very stable and fairly strong; it also allows a thin top layer of fine wood chosen for an attractive appearance. The top veneer of an engineered floor provides the attractive finish. As long as this is not compromised the floor will last for decades. Avoid anything that will cause wear to this top veneers, such as abrasive cleaning methods. Laminate cannot be re-sanded, the top veneer is too thin and will wear away. Floors made of engineered floorboards lock together neatly with the ‘tongue and groove’ edges. This makes the floor reasonably easy to install, and the tight connections produce a fairly watertight seal. Of course no timber is completely waterproof. Engineered floorboards are unlikely to warp or bend under normal conditions. If warping or bending does occur there is an extreme moisture problem. All timber flooring will be damaged by long term flooding. Occasional mopping is recommended. Use hot water and a damp mop. Add some mild detergent if the floor is especially dirty. Spot clean any stains with vinegar or window cleaner, then immediately clean this with hot water. Vacuuming with a brush attachment is a good cleaning option. Avoid steam cleaners and steam mops. They might cause damage to the wood. If the floor seems to retain dirt and grime then there may be soap scum on the surface. This causes dirt to stick to the floor. Try removing this soap scum by mopping with diluted vinegar in hot water. The air in our homes will contain a lot of chemicals from many sources, including cleaning supplies, plastic furniture and flooring materials. It is a good idea to reduce or minimize the extent of these chemical pollutants. Some flooring materials, especially new carpet, will release formaldehyde into the air. This is possibly the most common home pollutant, and it is known to cause health and cognitive problems in high concentrations, and aggravate allergies even in low concentrations. It is best to reduce this chemical pollutant as much as possible. Airing out all rooms when the home is new. Open windows and doors and use fans to circulate air. Air out any rooms after any renovations. This included paintwork and new carpeting. The smell of new carpet is actually formaldehyde. If you do have new carpet cover their surface with bi carb of soda for a few days, and then vacuum. Use an air filter a few times per week. Have indoor plants, these help clean the air. They work all day and night and require very little maintenance. Stick to safe eco-friendly cleaners when possible. Never mix chemical cleaners because the results are unpredictable. Store any chemicals in an outdoor, ventilated area. Use cookware at a moderate temperature. High temperatures will break down some non-stick surfaces like Teflon and produce toxic fumes. These fumes are especially bad for household birds and other pets. Install exhaust fans above stoves, and use good extraction methods for fireplaces. Bamboo is manufactured with some chemicals like formaldehyde, but it is largely free from this chemical once installed. Bamboo is one of the most environmentally friendly flooring options, and once it is installed fairly safe for the indoor air. Laminate uses some chemicals in the form of glue to bind the different layers of timber together, and in any protective coatings. But by the time laminate is installed it produces virtually no chemical residue. Solid timber flooring is very low allergenic and undergoes very little chemical processing. The only source of chemicals on hardwood timber is in any stains, finishes and clear finishes applied to the wood, but even these emit negligible chemical vapour once they have dried. Use coasters under all furniture to prevent scratches in the floor. There are coasters available in felt, rubber, plastic and cork. Floors with carpeting can also use a larger type of caster to prevent the heavy furniture causing flat indentations in the carpet surface. Hard floors sometimes seem to retain dirt, especially tiles. This can be caused by soap scum or detergent that has dried on the floor surface, leaving a sticky residue that makes dirt hard to remove. Cleaning the hard floor with a slightly acidic solvent, sometimes just a small amount of vinegar or lemon in hot water, is enough to remove the problem. Citrus solvents (like De-Solve-It) can also clean up sticky spots on floors. Matts and rugs are good on hard floors, especially during winter when we want to warm up the room. But they are prone to slipping. Use mats with rubber backing to prevent slipping on hard floors, or add rubber to the back of the mat. Sometime it is sufficient to add rubber to the mat’s corners. Static mops pick up a lot of dust from the floor surface. This are less troublesome that vacuums of mops, and are very effective for regular cleaning. Scuff marks on many hard floors can be removed with a melamine eraser (AKA as a magic eraser). Many ink stains or other marks can be removed with either hand sanitizer or by rubbing with toothpaste on a wet cloth. 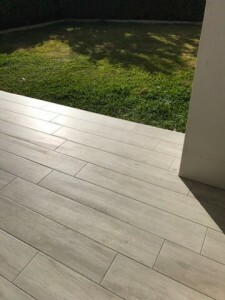 Some flooring will slowly change colour in strong sunlight. UV tinted glass windows are the best defence against this, and will protect furniture and home residents too. Else, any decent curtains or blinds will block most UV light from outside. Have some slippers for all the house residents to wear indoors. This keeps feet warm on hard surfaces that tend to be cold, and prevents scratching the floor with dirt from outside. Hardwood timber is extremely long lasting. And one of its great sales points is that the surface can be re-sanded should it suffer superficial wear. Different flooring materials can be repaired in different ways. Damaged tiles can be replaced while leaving the rest of the floor unaffected. This is very easy with vinyl tiles. Well maintained floors last for many decades. The moisture level of a timber floor must be kept at a moderate balanced level if the floor is to last. Optimum moisture levels of about 7-8% gives the floor optimum strength and durability. Some humid regions do better with floors that have a 10-11% moisture content. Wood will absorb or loose moisture to the surrounding environment. If the atmosphere is humid the wood will tend to soak up some moisture. If the atmosphere is dry the wood will lose moisture. Both of these situations can cause the timber floorboards to change shape and move in relation to each other. The environment inside a home can change due to summer and winter seasons, long term dry and wet weather, or because of heating and air conditioning. Adding a humidifier to increase humidity levels can compensate for low humidity bought about by these conditions. Cupping – This is where the edges of the timber board rise above the middle of the board, a situation caused by the underside of the board having more moisture than the top. Occasionally this is caused by poo installation. Crowning – This is when the centre of a timber board bulges upward. It is caused by moisture (perhaps water from a large spill) on the surface of the floor. The floor can at least partially be restored to a flat surface when the moisture levels stabilize. Buckling – this is an extreme moisture problem where the wet timber floor boards pull up subfloor. It is the result of extreme wet conditions such as a floor or pluming accident. Fortunately it is quite rare. Laminate flooring combines several layers of timber to optimising strength while giving an attractive surface layer. This makes laminate flooring one of the most stable flooring options. It will experience very little expansion and contraction with changing humidity and moisture. However it will suffer damage in a flood.